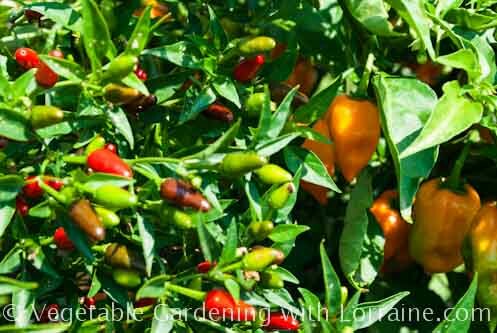 Even among people who aren't into vegetable gardening, growing hot peppers is hugely popular. Many cooks fall into this category, because having a wonderful variety of such intense flavors at your fingertips makes the small effort involved well worth it. And in case you're wondering, "hot pepper" = "chili pepper", no difference in meaning. 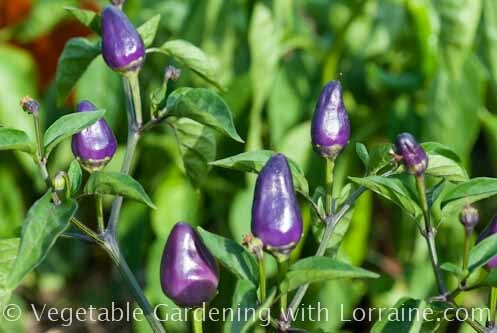 For general pepper growing guidelines, including seed-starting, growing conditions, and diseases, see Growing Peppers. This page focuses on the specifics of HOT peppers. 1500s more varieties arrive in Europe with Spanish friars returning from the New World, and they spread throughout Europe from Portugal and Spain. The Portuguese spread them along their trade routes from Brazil to Africa and India. At one time in the 1500s they were outlawed in Portugal because they threatened the lucrative black pepper trade. 1600-1700s From India they spread to Indonesia, New Guinea and Malaysia, and up throughout Asia. The loop is completed when the Turks carry them to Hungary and across Eastern Europe. Late 1700s The noble capsicum finally makes its way to North America with European settlers (not from Mexico or South America!). It seems that North America was last populated place on earth to incorporate peppers into its cuisine. Capsicum annuum is the most cultivated species, originally from Mexico. Most chili pepper and bell pepper varieties belong to this species. These plants are only “annuals” in regions of frost, where it never freezes the plants are perennial. Capsicum pubescens is native to Central and South America and in Peru, and is called “rocoto”. Its species name refers to the fact that the leaves of the plant are somewhat fuzzy rather than smooth. It’s pretty rare to find these outside of the Andes, but it is grown there because it can grow there, in the cooler, higher regions where other peppers shiver to death. The varieties are very hot. Capsicum baccatum is widely used in Peruvian, Bolivian, and Paraguayan cuisine. These peppers are orange when ripe and often have a little “crown” around the top. I’ve heard it said that these came from the Old World to the New rather than the other way around, but I have not found evidence of this. Ccommon varieties are the aji amarillo (amarillo chili), the aji limon (with a citrus-like flavor) and the sweet, often pickled peppadew. Capsicum chinense also known as “yellow lantern chilis” because many varieties resemble little lanterns. The super-hot habañero belongs to this species, and is native to Central America, the Yucatan and the Caribbean. Capsicum frutescens originally from the hot humid climates of Amazon, Central America and the Caribbean, peppers of this species are both hot and sweet at the same time. Now popular in Ethiopian and other African cuisines. What makes hot peppers hot is capsaicin, a substance that irritates human skin and mucous membranes. Back before we had liquid chromatography to measure exact amounts of chemicals in substances, it was necessary to employ human tasters to determine how “hot” a pepper was. To decrease the possibility of subjective variance, a pharmacist named William Scoville devised a test where the juice of the various peppers was repeatedly diluted down to the point where the “heat” finally became undetectable by a 5 person panel. This resulted in the “Scoville Heat Units Scale”, which rates peppers along a scale from 0 to 16,000,000 SHUs. Pure capsaicin is 16,000,000 SHU. The hottest pepper ever measured on planet earth was 2,009,231 SHUs. A sweet bell pepper with no heat is 0 SHUs. As anyone who eats hot peppers on a regular basis can tell you, it’s a slippery slope between jalapeños and habañeros or beyond, and one can start to feel deprived, maybe even uncomfortable, without hotsauce within reach! So it is actually true that hot peppers are addictive! But that’s a good thing in this case, because hot peppers are really good for you. They aid digestion, provide loads of antioxidants and vitamins, improve circulation and help alkalize the body. And as those of us who are into growing hot peppers know, every year we need to grow more and more varieties, and feel deprived if we don’t! 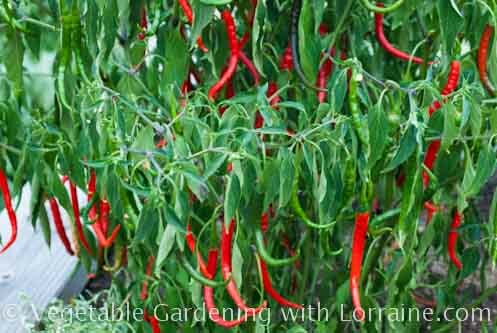 Peppers are one of the easiest and most fun thing to grow in pots and other containers on a patio or balcony. The plants don’t get overly large, and when they start to bear fruit (yes, the peppers are technically a fruit) they can be stunningly beautiful, in different shades of green, purples, yellows, oranges and reds. See the Container Vegetable Gardening article for details of successfully growing hot peppers in containers. Hot peppers also grow really well in upside down planters hanging from sunny eaves. 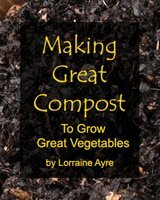 Just follow the same directions given on Growing Upside Down Tomatoes.